Twenty specially decorated Easter baskets raised more than $300 for the Nursing Student Association when they sold the baskets in the Health Professions Center on April 18. The money will be used to send students to national and state nursing conventions, said Jennifer Hader, NSA member. 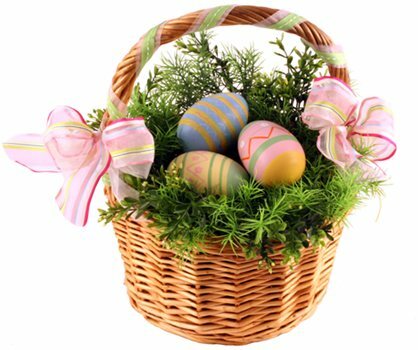 “By advertising on their Facebook page and word of mouth, the NSA sold all 20 Easter baskets within a matter of hours,” she said. The bright-colored baskets included candy, books, and stuffed animals. The prices ranged from $10 to $15, depending on how many goodies they contained. Club sponsor Jacqueline Frock, a nursing professor, puts the baskets together herself and donates her time and materials. “She’s a rock star,” Hader said. She said the Halloween baskets will include all kinds of goodies for Halloween, along with a few educational books. The Halloween baskets will raise money for scholarships in the Nursing Program. Hader said several students purchased baskets, but many of their customers were returning faculty members who purchase baskets yearly. When the Halloween and Christmas seasons come around, be looking for the NSA baskets in the Health Professions Center.